Day 3 another plane ride…I call shotgun!! We departed Oahu midmorning and took a small prop plane to Maui. I did a little better this flight but only because I told the flight attendant to tell the pilot that I had a Google map ap on my phone that he could use if he wanted too (but that I’d get to ride shotgun if he did. He did not take me up on my generous offer). 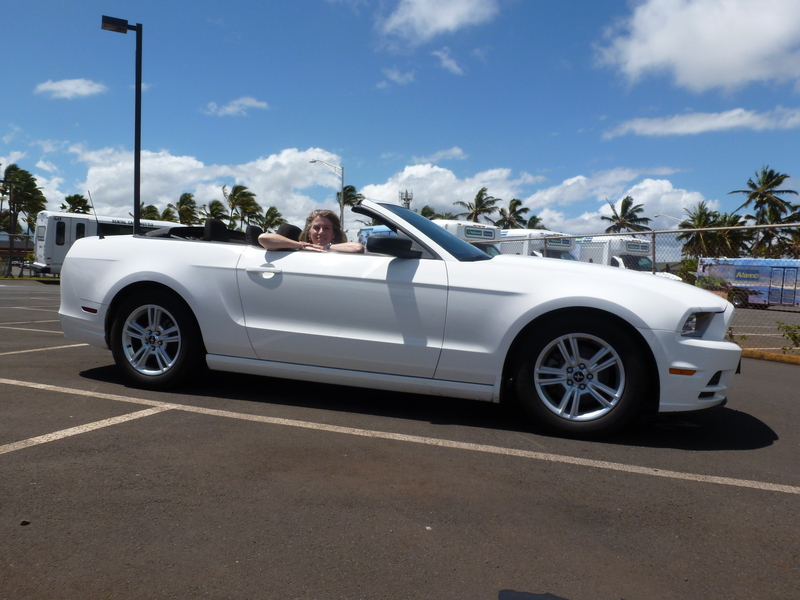 Once on the ground in Maui we picked up our rental car…a 2013 Ford Mustang convertible!!! Well played Connie Sue, well played. 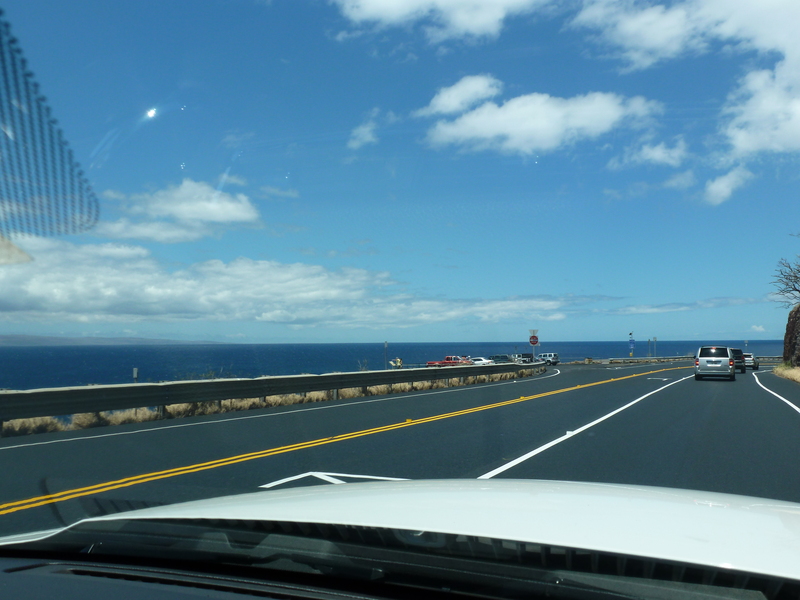 We ventured out for our forty-five minute drive to the hotel that we were to stay at, with top down on the car. Never having driven a convertible I thought that it was a lot of fun. 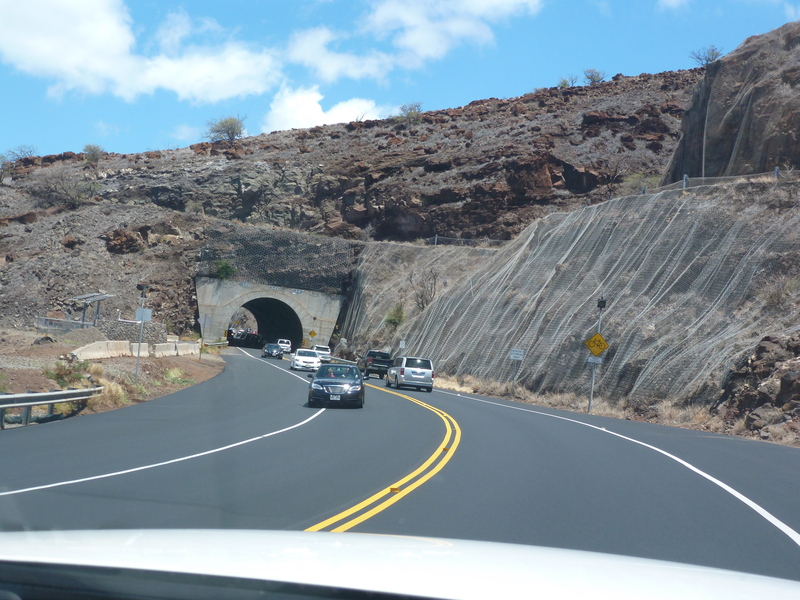 Most of the rock walls lining the highways had a sort of wire mesh anchored into them to catch falling rock…which was great since we had no roof on the car. 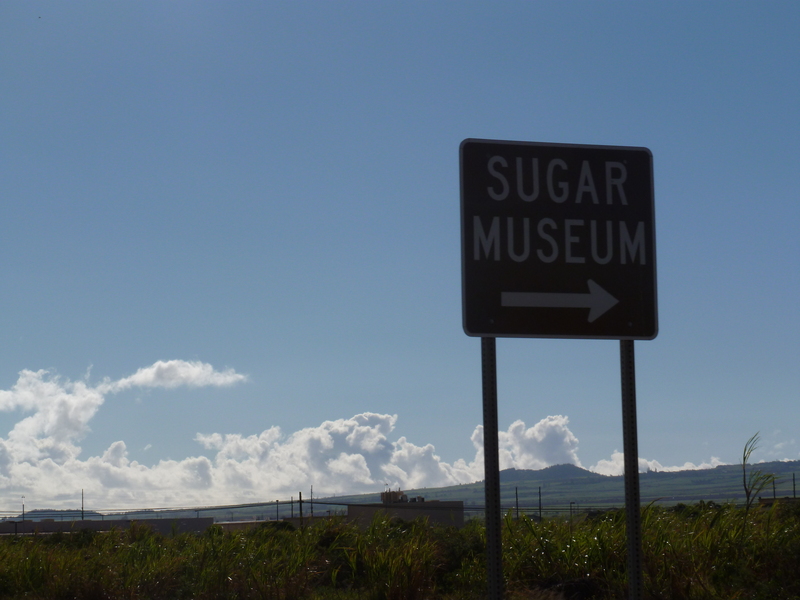 The drive to our resort was real scenic. Ocean on the left, mountains on the right. It’s about damn time someone recognized the importance of the fifth and FORGOTTEN FOOD GROUP…SUGAR!! Now let me say this, the Ripley’s are “Holiday Inn Express” type of folks. We’re not fancy; we fly coach and drive Fords. 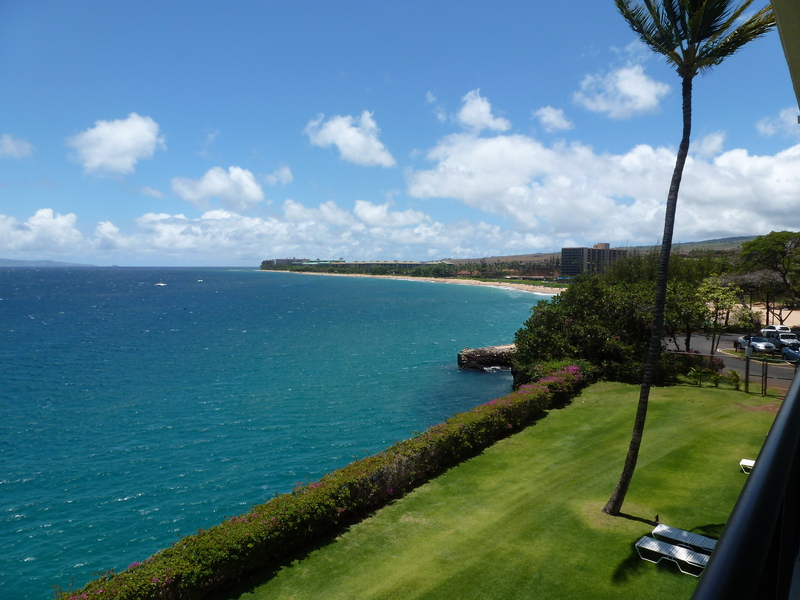 Our hotel in Oahu was quite nice, our hotel room on Maui was…over the top nice (by our standards). Two words, “ocean view”. The view from our fourth floor deck off of our bedroom. Just awe-inspiring beautiful. We had lunch poolside were the sandwiches were awesome, but the 10 ounce fountain Coke was $4 and not even that good. So later on at night we ventured into town and purchased some beverages for our room refrigerator, including some of adult nature. That night we ate at the Pineapple Grill, where we had our favorite meal of the whole trip. Our server was Jessica who explained the menu, foods and Maui as a whole. She was our favorite person of the whole trip. 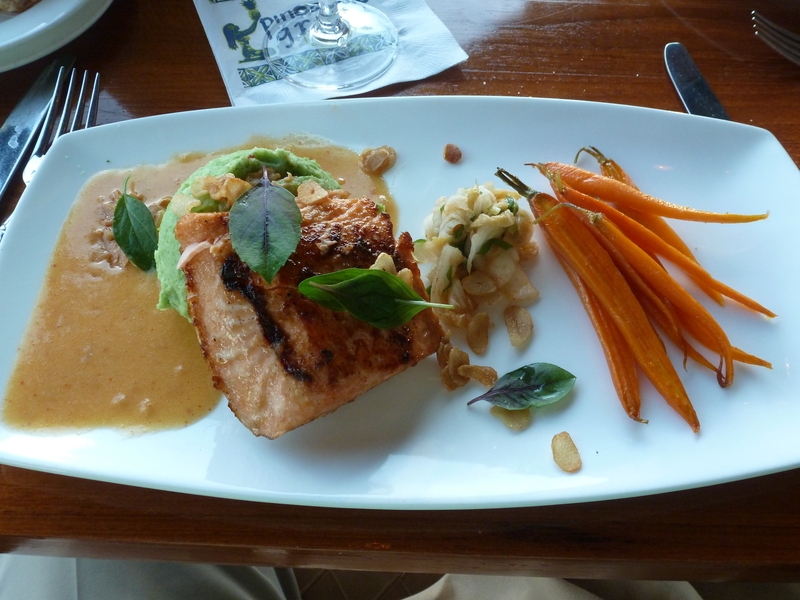 My meal was New Zealand salmon with garlic flakes, bok choy sauce and some fancy carrots (I’d rather have some corn or peas but maybe that’s just my Midwestern upbringing). The red stuff on top is roe, the whole meal was delicious. 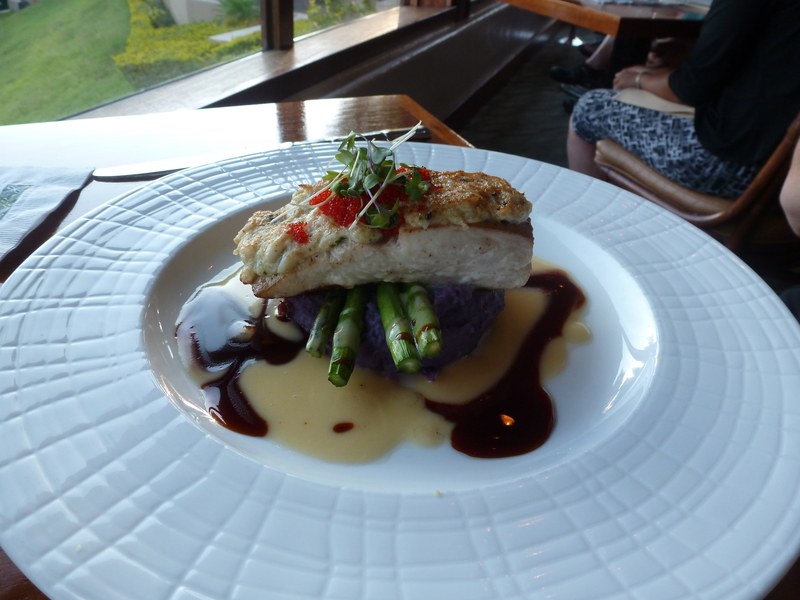 The purple stuff on Connie’s plate was Hawaiian sweet potatoes and it rocked!!! 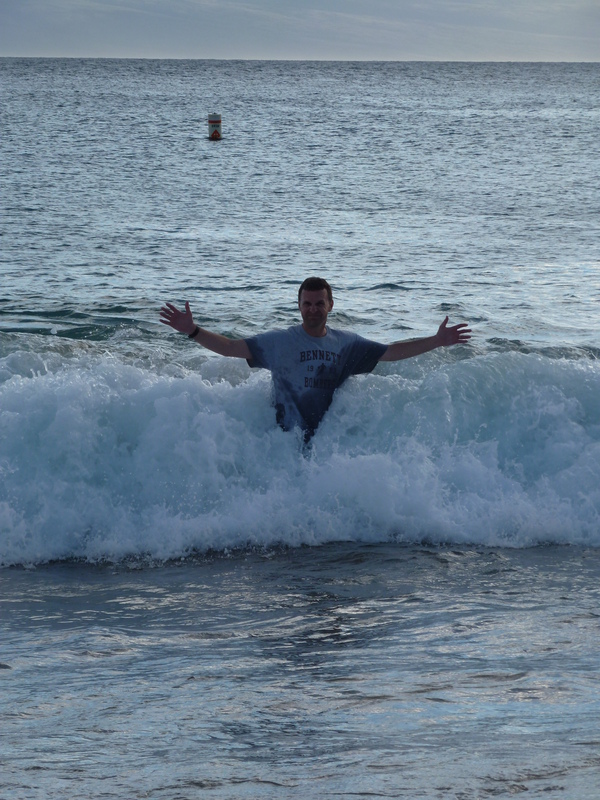 We returned to our hotel and ventured into the surf again. I was only wanting to go in up to my knees. See how that worked out? 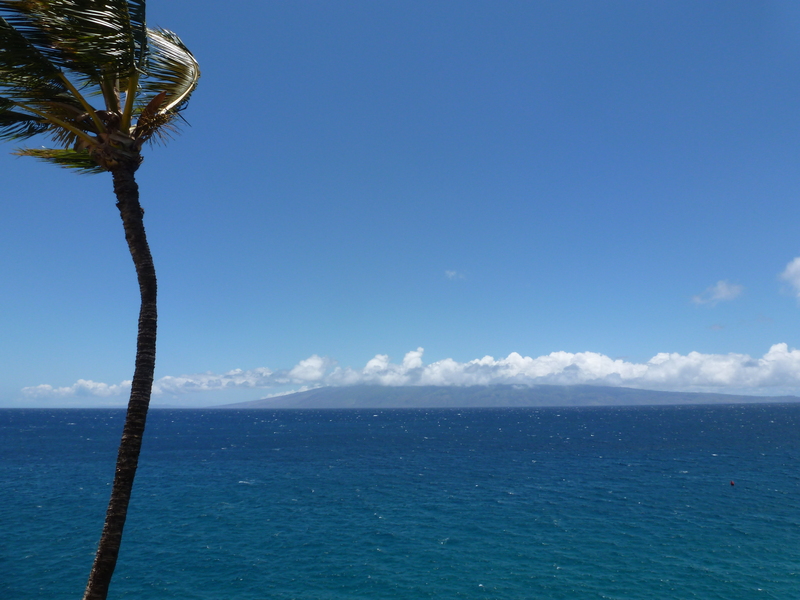 Tomorrow we head to the sea to do something that neither one of us has tried…snorkeling. Until the next blog…God bless and peace.